The Lord himself invites you to a conference concerning your immediate and endless happiness, and He would not have done this if He did not mean well toward you. Do not refuse the Lord Jesus who knocks at your door; for He knocks with a hand which was nailed to the tree for such as you are. Since His only and sole object is your good, incline your ear and come to Him. Hearken diligently, and let the good word sink into your soul. What if I Make a Wrong Major Life Decision? Winston Smith, at CCEF. Love these guys. Sane, gospel-rich wisdom. In April 1983 Jack Miller wrote to a young woman, responding to her concerns as to whether she is truly repentant, a real Christian. Here is the opening to Jack's letter. Thank you for your recent letter concerning your desire to know whether you have had a God-centered repentance. So set aside any fears that I might be unwilling to take time to help you. Perhaps I can help you if you will recognize that all I can do is be a small finger pointing to a large Christ. But if you trust yourself to Him be confident He is not only willing to help you but has the power to help you. What do you need to know? . . . When you turn to Christ, you don't have a repentance apart from Christ, you just have Christ. Therefore don't seek repentance or faith as such but seek Christ. When you have Christ you have repentance and faith. Beware of seeking an experience of repentance; just seek an experience of Christ. The Devil can be pretty tricky. He doesn't mind you thinking much about repentance and faith if you do not think about Jesus Christ. . . . Seek Christ, and relate to Christ as a loving Savior and Lord who wants to invite you to know him. In John 2 Jesus, having declared that his hour 'has not yet come' (v. 4), turns water into wine at a wedding uniting a bride and a bridegroom; a celebration, a feast. In John 3 Jesus calls himself the bridegroom (3:29). Jesus sat amid all the joy sipping the coming sorrow, so that you and I today can sit amid all this world's sorrow, sipping the coming joy. Here is what Tolkien writes of Lothlorien as the company enters this wooded elf land that has escaped the diseased fallenness of the rest of Middle Earth. The others cast themselves down upon the fragrant grass, but Frodo stood awhile still lost in wonder. It seemed to him that he had stepped through a high window that looked on a vanished world. A light was upon it for which his language had no name. All that he saw was shapely, but the shapes seemed at once clear cut, as if they had been first conceived and drawn at the uncovering of his eyes, and ancient as if they had endured for ever. He saw no color but those he knew, gold and white and blue and green, but they were fresh and poignant, as if he had at that moment first perceived them and made for them names new and wonderful. In winter here no heart could mourn for summer or spring. 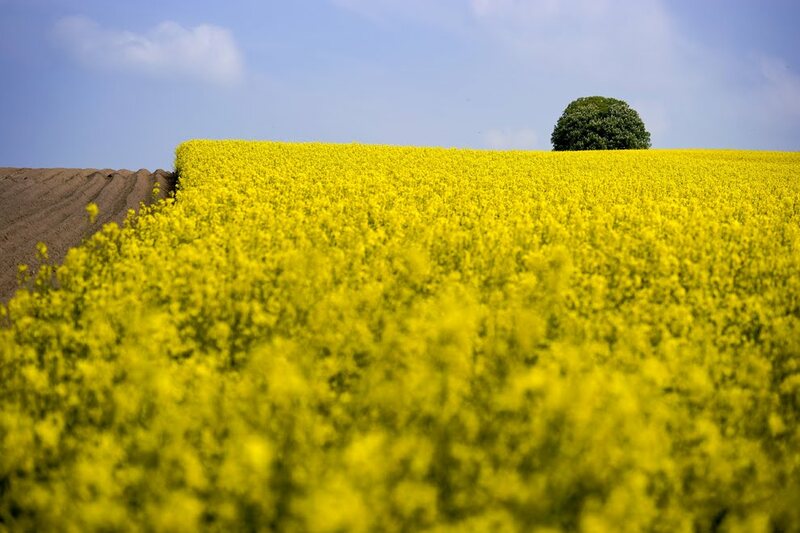 No blemish or sickness or deformity could be seen in anything that grew upon the earth. On the land of Lorien there was no stain. If you desire to be justified before God, you must either bring to him a perfect righteousness of your own, and wholly renounce Christ; or else you must bring the perfect righteousness of Christ, and wholly renounce your own. "It is up there in the mountains," said the Spirit. "Very cold and clear, between two green hills. A little like Lethe. When you have drunk of it you forget forever all proprietorship in your own works. You enjoy them just as if they were someone else's: without pride and without modesty." As the company enters into Lothlorien, the wooded elf-world, Gimli refuses to be blindfolded, as Haldir the elf demands. Ultimately Aragorn insists that they will all walk blindfolded--even Legolas, despite being an elf himself. "Alas for the folly of these days!" said Legolas. "Here all are enemies of the one Enemy, and yet I must walk blind, while the sun is merry in the woodland under leaves of gold!" "Folly it may seem," said Haldir. "Indeed in nothing is the power of the Dark Lord more clearly shown than in the estrangement that divides all those who still oppose him." It is a very surprising thing, a thing to be marveled at most of all by those who enjoy it. I know that it is to me, even to this day, the greatest wonder that I ever heard of that God should ever justify me. I feel myself to be a lump of unworthiness, a mass of corruption, and a heap of sin apart from his almighty love. I know and am fully assured that I am justified by faith which is in Christ Jesus, and I am treated as if I had been perfectly just. . . .
Who can help being astonished at this? Gratitude for such favor stands dressed in robes of wonder. 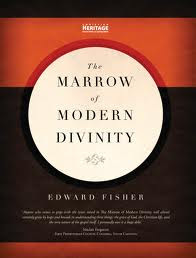 Edward Fisher's The Marrow of Modern Divinity has been hailed as a uniquely valuable work when it comes to understanding how the gospel ignites, and sustains, the Christian life--something I've been wrestling with the past several years, and continue to. Sinclair Ferguson says, "Anyone who comes to grips with the issues raised in The Marrow of Modern Divinity will almost certainly grow by leaps and bounds in understanding three things: the grace of God, the Christian life, and the very nature of the gospel itself. I personally owe it a great debt." Sign me up. Phil Ryken says the book explains what "sanctification by grace rather than by the law" is all about, and Derek Thomas comments similarly. Most blurbs make my eyes gloss over; these ones catch my attention. The book is a conversation between Evangelista (a gospel-wise, seasoned saint), Neophytus (a gospel-ignorant young man who is converted midway through the book), Nomista (a legalist), and Antinomista (an antinomian). It's written by Edward Fisher, about whom we know little--but the well-respected and much-beloved Puritan Thomas Boston (on whom Ryken did his doctorate) provides theological commentary throughout. Fisher himself loves to quote Luther more than anyone, while Boston relies most heavily on the Reformed confessions, especially Westminster. There's an interesting historical backdrop to the story. The book was originally written in the 1640s in England, and when Boston read it in Scotland 70 years later he sought to have it reprinted. Many of his fellow ministers in the Church of Scotland resisted, viewing it as leaning too far in an antinomian direction. All this is what is referred to as the "Marrow Controversy," if you've heard that term. Not to be confused with this. The edition I'm using is a beautiful one, published by Christian Focus. Clearly laid out, nice font, virtually no typos, big margins for notes, and one of those nice velvety-ish covers. Perfect. Here's the first of many quotes I'll be putting up in days to come. Evangelista is speaking. Alas! there are thousands in the world that make a Christ of their works; and here is their undoing. They look for righteousness and acceptation more in the precept than in the promise, in the law than in the gospel, in working than in believing; and so miscarry. Many poor ignorant souls amongst us, when we bid them obey and do duties, they can think of nothing but working themselves to life; when they are troubled, they must lick themselves whole; when wounded, they must run to the salve of duties, and stream of performances, and neglect Christ. It is to be feared that there be divers who in words are able to distinguish between the law and gospel, and in their judgments hold and maintain, that man is justified by faith without the works of the law; and yet in effect and practice, that is to say, in heart and conscience, do otherwise. And there is some touch of this in us all; otherwise we should not be so up and down in our comforts and believing as we are still, and cast down with every weakness as we are. "The salve of duties." ! Here, on Bray's new systematic theology text. Brief, as it should be (the interview, not the book). Grow in your daily humility and you will become more effective in winning the lost. There is a beautiful harmony here. When our lives are empty of self and pride, we are freed to be ourselves. We are not under an iron law of duty, but acting and thinking and feeling as we were meant to by our Creator. In the enjoyment of that wholeness, we become attractive to sinners. Each of us rolled out of bed this morning in pursuit of one of these visions of reality or the other. Either this life is my shot at joy and glory, or the next is. No third option. But it is easy to contrast Bon Jovi's expression of the world's pursuit of glory with the Bible's without recognizing what is so wonderfully right about it. Jon Bon Jovi is made in the image of God. There is a quest for glory in him that in his fallenness is diseased and thus self-directed, but the healing of that fallen impulse is not to cut off all pursuit of glory but to redirect it from Self to Christ. Bon Jovi doesn't want to sludge his way through life. He wants to matter. As he should. Life is frighteningly short and he wants to seize the moment. Even, in his own twisted way, redeem the time. He eschews normalcy. For you believers who want to play it safe--just make it through life offending as few people as possible, being liked, not stepping on toes, not bothering anyone and not being bothered--you have something to learn from Jon Bon Jovi. Regeneration is a change from glory-in-self pursuit to glory-in-Christ pursuit, not a change from glory-in-self pursuit to no pursuit of glory at all. When he saith, 'shall come to me,' he means they shall have a discovery of the glory of the grace that is in him; and the beauty and glory of that is of such virtue, that it constraineth and forceth, with a blessed violence, the hearts of those that are given to him. Seems to me there are two wrong ways to receive criticism and one right way. By "criticism" I have in mind love-sent but hard words from a believing brother or sister that are meant for our good, in the spirit of so many NT passages (neglected by many today, first and foremost by me) that call us to exhort, rebuke, and sharpen one another. I'm not thinking of meanness, backbiting, word-wars, etc. All of that is simply to be ignored. We shouldn't meddle in it. Doing so is futile. It's only self-progagating. And, for every one rebuke, I expect there should be something in the neighborhood of about 50 affirmations. Or 500. Or so. Also, this is not a post about giving criticism. That's equally worthy of reflection, and requires just as much wisdom. But not what we're talking about now. Wrong way #1: Reject consideration of it. This is the path of the fool as depicted in Proverbs, James, and elsewhere. We resist correction because we are sure we know better. We subtly think that teaching is a one-way street (us to others), never a two-way street. This is not to say everyone ought to listen to everyone equally. If I teach a Sunday School class on Romans that includes in the audience Doug Moo and a high school sophomore, and both of them offer critique, I will more readily receive Moo's words than the high schooler's. And I will be right to do so. Moo generally understands Romans better than I do, and is more experienced pedagogically; and I generally understand Romans better than the high schooler, and am more experienced pedagogically. It would be foolish to receive both critiques with the same weight. A call to receive criticism is not a call to abandon discernment. The big point of this blog post, moving on, is that outright rejection is not the only way to resist correction. Wrong way #2: Reject consideration of the critique inwardly, while receiving it outwardly. This is the path not of the fool but the hypocrite. The Pharisee. The white-washed tomb who looks nice on the outside but inside is full of bones. We smile and thank the brother for the critique. We bemoan how much we have to learn. Offer zero self-justification verbally. Give a hug of gratitude. But internally we are resisting truly weighing what has been said. Why, then, would we act to the contrary? This instruction-resistance-disguised-as-humility, along with being prideful in the same way as #1, is a form of works-righteousness. Disbelief in the gospel. Thinking that in order to be whole/at rest/secure, we need to appear to be something on the outside that we are not on the inside. Why? Because we think that if others saw us as we really are, we would lose something. But in the full approval won for us by Another we cannot lose anything, no matter who knows what about us. The only way to lose is to hide who we really are, for then we lose our sense of Him. To put it differently: #2 is still idolatry, just as much as #1. The idol has simply changed. The idol in #1 was self. We are justified because we are right. The idol in #2 was human approval. We are justified because we are viewed as humble, as the kind of person who can receive criticism. #2 is not only more subtle but more devious. We still think we're above criticism (as in #1), but to this we add artificiality. It is a double sin: the pride of #1 combined with the hypocrisy of #2. #1 may be ugly, but at least it's honest ugliness. Right way: Receive the critical words, consider them. Fill your heart with a sense of God's undentable delight in you as his son or daughter, filter the criticism through wisdom, ponder what has been said, leave behind what was sincere but wrong as far as you can tell, seek the counsel of others if needed, remember that Christ's blood covers all offenses, and redirect your life accordingly. All this is not to overlook the many, many, many frivolous things that are said--especially online--that may contain a hint of truth but are so off that they ought to be rejected outright and forgotten. I'm talking about the accusation or slander or haughtiness paraded as brotherly sharpening and love for truth. It is not humility to take such words to heart. It is wisdom to ignore them. And, there will be many cases when, after honestly examining our hearts and perhaps seeking counsel from a trusted third party, a well-meaning and love-sent critique will simply be misguided and should therefore be ignored and forgotten following sober assessment. So: can you humbly receive criticism from a brother? Truly receive it, and not just externally so that you appear to be humbly receiving it, thereby simply diverting from the idol of self-sufficiency to the idol of human approval? Our motives are always mixed, of course--probably never in this life will we receive a criticism without some degree of impure hypocrisy at play. We all stumble in many ways. I need to grow in receiving criticism truly. I invite you to join me. The journal can be accessed here. Sinner, the greater sinner thou art, the greater need of mercy thou hast, and the more will Christ be glorified thereby. Come then, come and try; come taste and see how good the Lord is to an undeserving sinner. This is the book being referenced. Christ loved us when there was no loveliness to draw his love. There was nothing attractive in us. All was repulsive. We had nothing amiable or any way desirable in us. All was abominable to his pure eyes. But Christ has infinite loveliness to win and draw our love. He is the brightness of God's glory. He is the bright and morning star in the spiritual firmament. He is more excellent than the angels of heaven. He is among them for amiable and divine beauty, as the sun is among the stars. In beholding his beauty, the angels do day and night entertain and feast their souls and in celebrating of it do they continually employ their praises. Nor yet have the songs of angels ever declared all the excellency of Jesus Christ, for it is beyond their songs and beyond the thoughts of those bright intelligencies to reach it. That blessed society above has been continually employed in this work of meditating on and describing the beauty and amiableness of the Son of God, but they have never yet nor ever will comprehend it fully or declare it. It will be great to welcome Dr. Oh to Wheaton next week for Missions in Focus. There is in Christ a fullness of all-sufficiency of all that which is needful to make us happy. . . . While we keep our eyes upon him, we never desire to change him for another, or to add to ourselves some other thing, together with him, to make up our spiritual joy. O the heart-attracting glory that is in Jesus Christ. One of the loveliest men I have ever met on this earth is David Calhoun. Dr. Calhoun taught church history at Covenant Seminary for many years, until a few years ago. When I finished the two required semesters of church history for the MDiv at Covenant, I promptly signed up the next year to audit the same two classes once more. It was for the man as much as the content. Not a self-aggrandizing bone in his body. If you have ever read Edwards on humility in his sermons or Religious Affections or Distinguishing Marks--Dr. Calhoun gives us a living embodiment of Edwardsean humility. The sweetness of it, as Edwards would say. The non-self-consciousness of it, the magnetism of it. Here is Dr. Calhoun answering a few questions about a friend of his--Francis Schaeffer. Two men of whom the world was not worthy. The opening few questions have some fascinating anecdotes. Words to heed, and pray over, from our wise brother Justin Holcomb, in light of the Super Bowl this week. With six ways we can meaningfully engage. I love football. But: factoring in on the one hand the frothy, superficial joys of the Super Bowl, with fans unconsciously seeking vicarious glory through athletic success, and on the other hand the unimaginable misery, the nightmares, that will be experienced by many women and children in and around Indianapolis, I suspect the Super Bowl experience nets out as increasing sadness, not happiness. A few men who mean a lot to me and who have been on my mind this past week or so, with one reason I love them. Many more can, and in future blog posts will, be mentioned. Drew Hunter, for his grasp of the gospel of grace that gives him an ability to be both serious and non-serious, rather than always having to be only one or the other. Bob Smart, for his gentleness. The Thursday night crew, for their quietly violent refusal to be mastered by anything but Christ, the friend of sinners. Lane Dennis, for his steely conviction transmitted through speech seasoned with grace. Justin Taylor, for his measured, courageous wisdom. Chris Hodge, for his preaching of the gospel to my soul week in and week out, in season and out of season. Nate Conrad, for his state of perpetual, joyful, repentance. Greg Beale, for his battle-tested fidelity to, and lifelong wonder over, the Bible. David Stancil, Andrew Voelkel, Keith Ledford, and Matt Roberts, amazing seminary classmates, for their steady faithfulness in shepherding God's people while battling the world, the flesh, and the devil. Hans Bayer, for showing me at Covenant Seminary what Psalm 34:5 looks like in a real live human being.